This trip starts in Klaksvík. 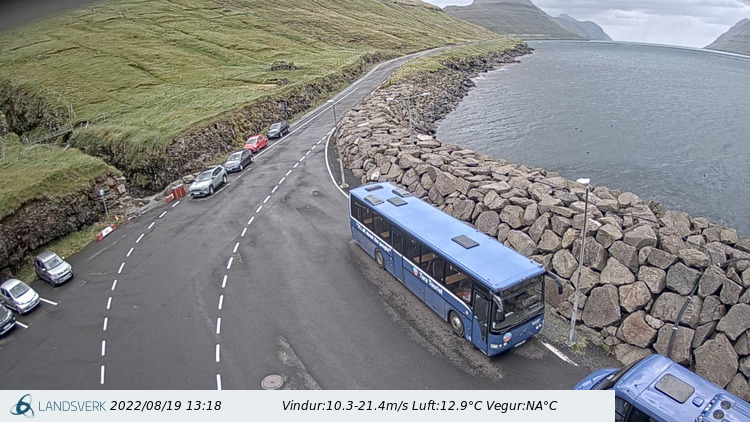 Take the ferry, Sam, to Syðradalur - the ferry trip takes about 20 minutes. Drive to Mikladalur and enter the tunnel to Trøllanes. Take a right turn after about 1 km and continue to drive for 300 metres. You will then arrive in Djúpadalur, where you will start and end this hike.